← You Make February Fabulous! I’ve been making Valentine’s Day cards. I “love” this simple layered design. I mounted patterned scrapbook paper over textured cardstock and I used the retired stamp set Heart-itude from The Angel Company. 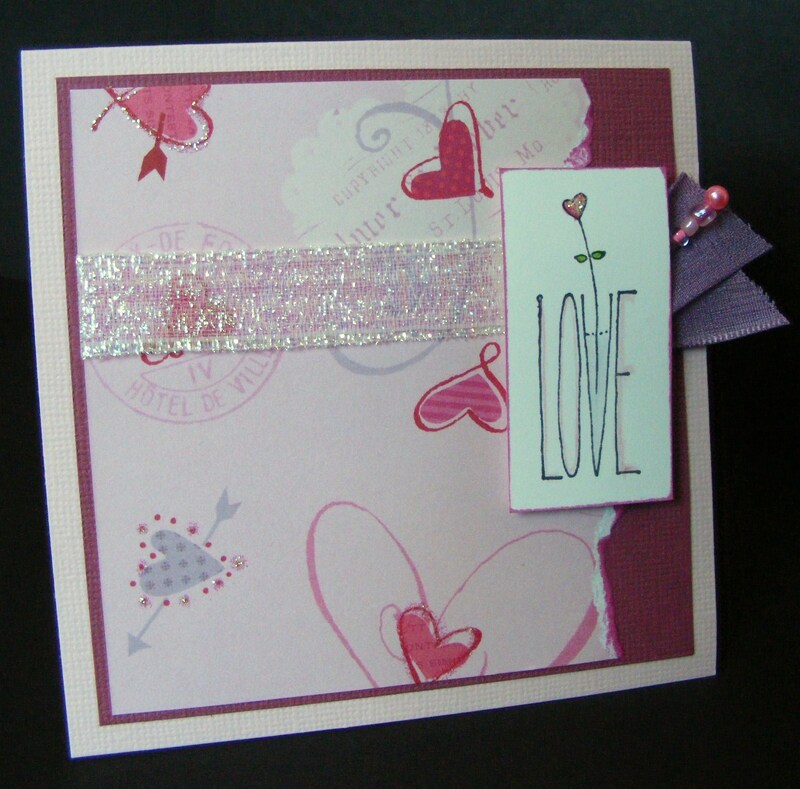 This entry was posted in Cards, Rubber Stamped Items and tagged flower, Hearts, Love, pink, Purple, Red, Valentine's Day. Bookmark the permalink.